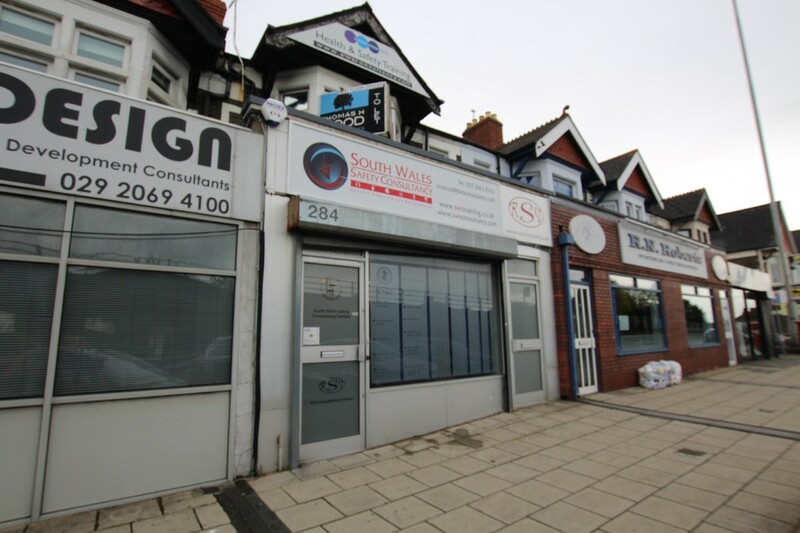 DESCRIPTION *** FIRST FLOOR OFFICE SPACE*** A well presented suite of offices on the first floor of this centrally positioned property on an established and busy retail/office parade of shops. The offices have recently been decorated. Fully double glazed throughout as well as a modern Worcester Greenstar condensing combi boiler. 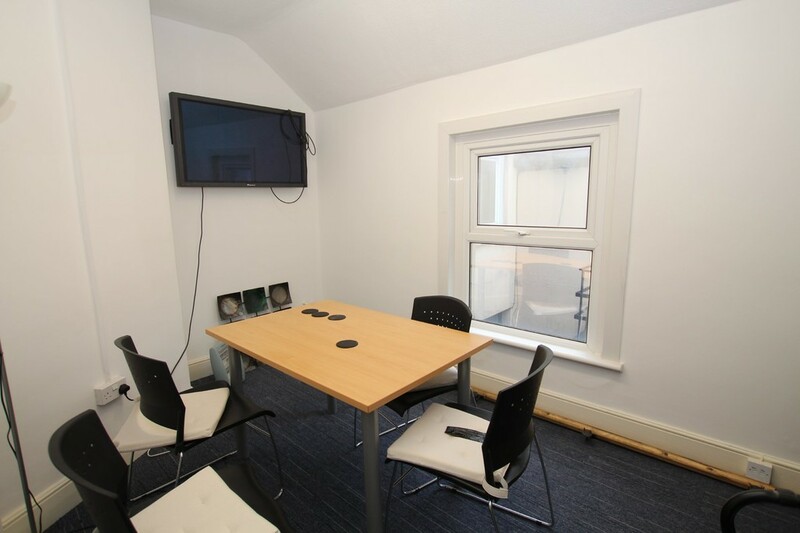 A convenient locations, at the A48/A470 interchange and within 2km of Cardiff city centre. On road parking bay to the front. 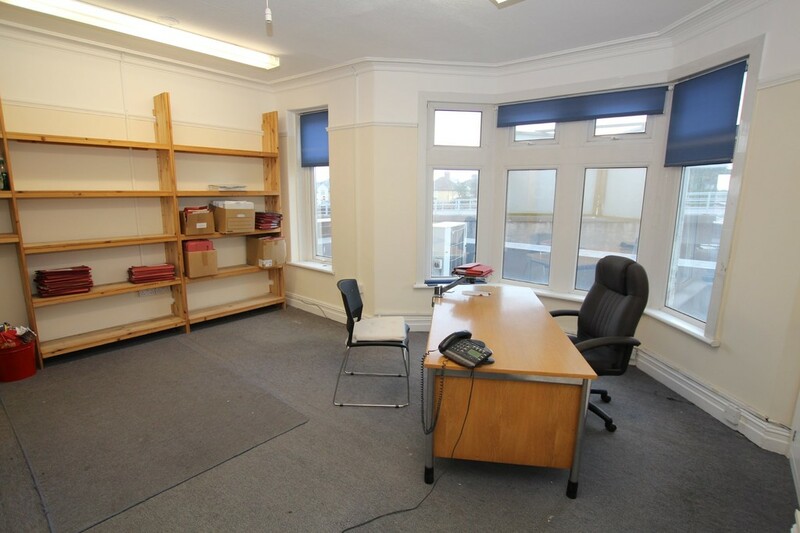 The property briefly comprises, entrance hall, landing, four offices, tea making and WC. ENTRANCE AND HALLWAY via aluminium front door. Painted walls and ceiling, ceramic tiled floor. Stairs to first floor. Alarm controls. LANDING	via enclosed staircase. Painted walls and ceiling. Two single radiator panels and heating thermostat. Large fitted storage cupboard. Access to loft area. OFFICE 1	17'2" x 14'8" (5.24m x 4.47m) max. Painted walls, picture rail, coving, papered ceiling. Two low cupboards to alcoves, fitted shelving to one wall. Double glazed uPVC windows to front and front bay. Double radiator panel. Multiple power and phone points. Entry phone. OFFICE 2	12'4" x 10'10" (3.77m x 3.32m) max. Fitted cupboards with louver doors to alcoves. Painted walls, coving, textured ceiling. Double glazed uPVC window to rear. Double radiator panel with TRV. OFFICE 3	14'7" x 8'2" (4.46m x 2.51m) max. Painted walls, textured ceiling. Double glazed uPVC window to side. Single radiator panel with TRV. 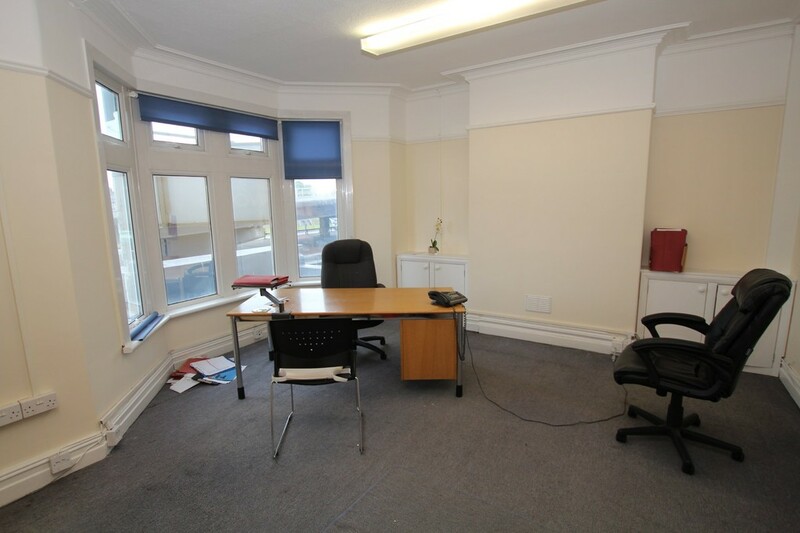 OFFICE 4	8'2" x 8' (2.50m x 2.44m) max. Painted walls, coving, textured ceiling. Double glazed uPVC window to side. Single radiator panel with TRV. Worcester Greenstar condensing combi boiler. TEA MAKING	8'2" x 4'6" (2.50m x 1.38m) max. Half tongue and groove panelled walls, painted walls and ceiling, laminate flooring. Access to loft area. Single stainless steel sink and drainer with chrome mixer tap. Beech effect units with marble effect worksurface. Single radiator panel with TRV. Double glazed uPVC window to rear. WC	White suite comprising wall hung basin with cold tap and Triton electric water heater, low level WC. Single radiator panel with TRV. Half tiled walls, painted walls and ceiling, coving, laminate flooring. Double glazed uPVC window to rear. UTILITIES The tenant will be responsible for their use of gas, electric and water.